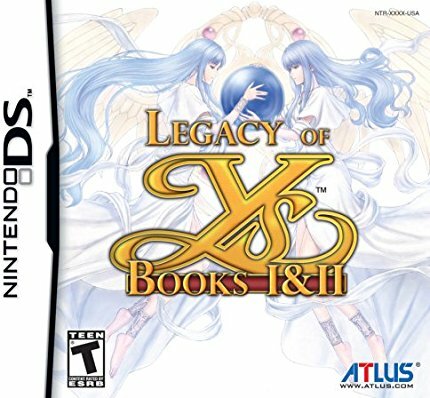 Ys Book I & II is an action RPG and at one point it was two different games. Ys I: Ancient Ys Vanished Book I was released in 1987 and Ys II: Ancient Ys Vanished - The Final Chapter Book II in 1988. Both were PC titles. 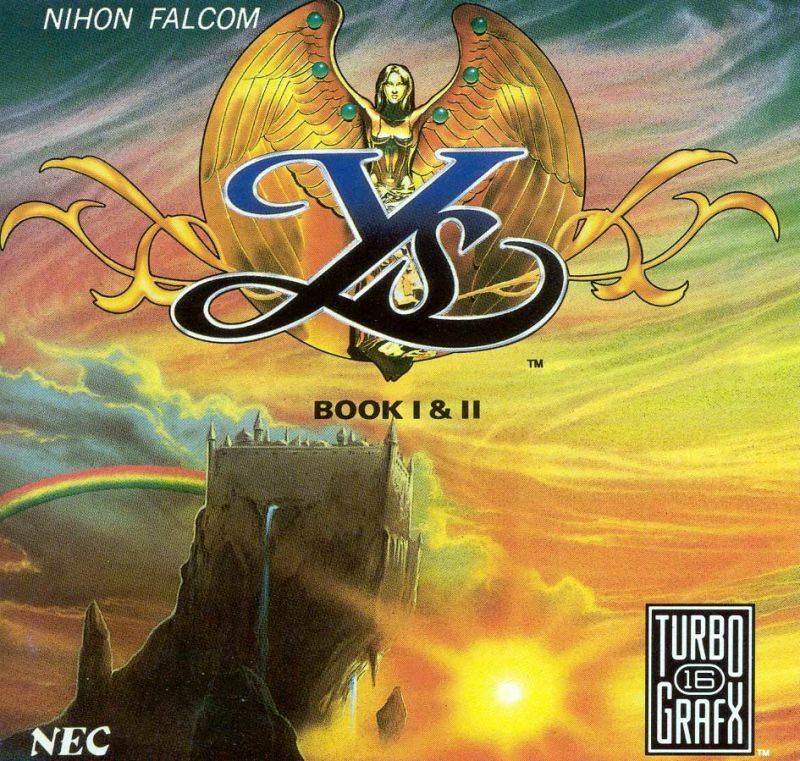 In 1990 A two game collection became the norm when Ys Book I & II was released in 1990 for the TurboGrafx-CD in 1990. Since then a PlayStation 2 version was released in 2003, Virtual console in 2008 in North America for Nintendo, PlayStation Network in 2010 but only in Japan, plus a Nintendo DS game in 2009 for North America and several different places you can download it for PC. Adol Christin is a young hero tries to defend the small island of Esteria from demons and monsters that have appeared out of nowhere. He figures out that there is more going on when he starts to find out about an ancient Civilization that ruled the world hundreds of years ago. The ancient magic can only be translated by finding six secret books that tell the whole story about what happen to the Ancient Gods. Ys Book I & II should not be underestimated. It is one of the oldest retro role playing games that we have played and reviewed but we could not put the game down. This is an action RPG and depending on which version you buy attacking varies. In our version you just walking up a combat happens automatically, you don’t even have to hit a button. You just walk up and touch them and you either give damage or take damage. It has more to do with the angle you are fighting from, how high your level is and how may foes you are fighting at the same time. Leveling up was more fun than expected. We put in the time early on, not just to make Adol stronger but you can buy really strong weapons at the beginning of the game if you just put in the effort. Also, the boss battles are all excellent and different, we looked forward to them each an every time we got to one. Ys Book I & II took us between 5 and 7 hours to get through the game and that is low for any role playing game. The game length and getting lost a lot because to many areas look the same is the only two things we did not like. The game could have really use a map especially in Book I. We liked Book II more than Book I and we loved that you can max out your level. 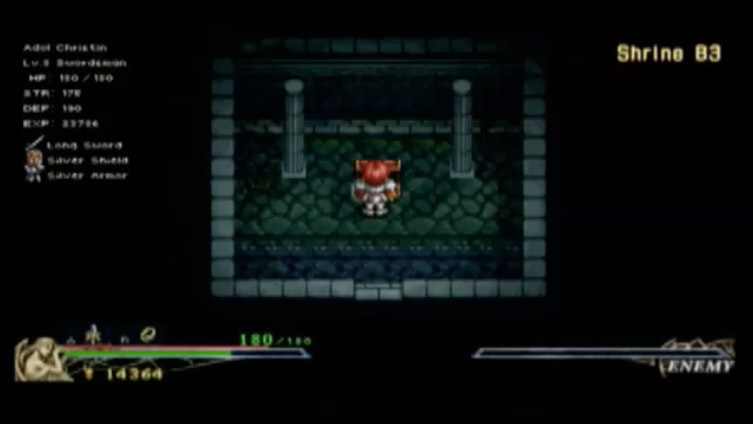 It felt like we did something important when Adol is all powered up. Ys Book I & II is also filled with little details like every villager gives you important information, the story keeps you interested, there is no wasted motion everything has a point and we loved the ending credits. Even the music is a joy, modern 80’s retro techno rock. Your best bet is to buy this game on the PC and it goes for around the $4.99 price point and it is worth it but $30.00 for Nintendo DS or PlayStation Portable copies is asking too much. A price point under $1.99 for a digital copy is a MUST BUY PRICE and sales at that amount happen several times a year for PC Gamers. 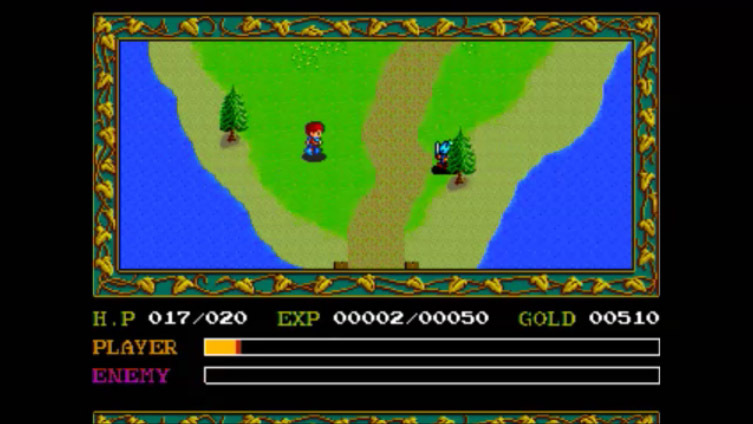 Ys Book I & II or Ys I & II Chronicles or Legacy of Ys Books I & II as they are sometimes called has sharp and unique style of gameplay and combat, deep stellar story, outstanding voice acting and we can’t believe that we got to write that sentence in a review about a 8 bit game that came out in 1987!